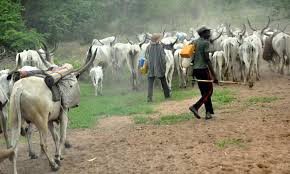 A coalition of youths from the middle belt under the umbrella of Middle Belt Renaissance Forum has given matching order to all herdsmen in the region to leave before October 1, 2017 or face total war. The middle belt youth also use the medium to distance themselves from the quit notice issued to the Igbo's by the Areas youth to leave the region before October 1 according to Leadership report. The middle belt youth forum made their position known from the outcome of the meeting held in the nation's capital, Abuja over the weekend. The meeting which was attended by youth representatives from all the states that make up the region discussed on issues as it affects the region. The forum from its communique issued after the meeting from the organizer, Comrade Jones Simon Alfa, beckon on the governors in the region to braced up to their responibilties of good governance and refrain from harassing media practioners. The communique read in part, "The middle belt governors should sit up to their responsibity of governing the people who voted them to power instead of the sudden primitive accumulation of wealth at the detriment of the suffering voters". "The Middle Belt Youth will no longer take the recklessness of the Governors in arresting Media Practitioners, Bloggers and Social Media Crusaders eg the Kaduna Governor and that of Kogi who are clear examples". "The Middle Belt is not in any way part of the Northern agitation for the Igbos to vacate by 1st of October. We have been living peacefully with the Igbos in our localities and will not join in call for secession. "All herdsmen should vacate the Middle Belt Region before 1st of October, 2017 or there will be total war if they are not ready to live in peace". He said. The group also asked the core north to henceforth stop using the Middle Belt people achieve what he described as selfish political, economic aims and objectives. They however, conclude by saying that Middle Belt are not northerners.